With the recent rise of live streaming, you’ve probably considered adding live broadcasts to your social media marketing strategy. However, although live streaming can be as simple as picking up a camera and going live, if you want it to look and sound professional, and ensure that are representing yourself and your brand well, you should put some time into planning and preparation. 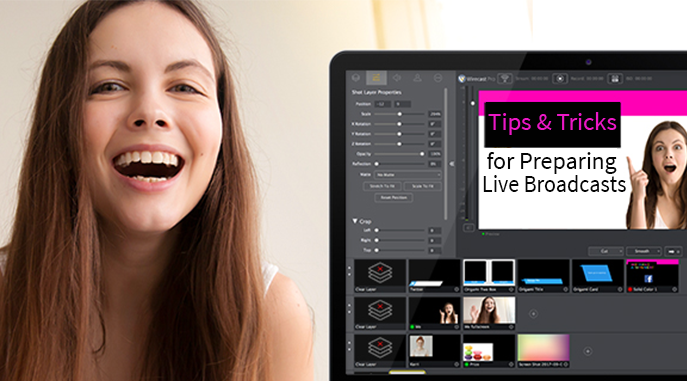 Your best bet for a successful live stream is to learn the basics. Plan out your broadcast carefully. Who is your audience? Will they care about your topic? What will you be doing? Who will you have any guests? Do you want your live stream to have a professional feel or be fun and relatable? Preparing B-roll video for your live stream will help the overall aesthetic of your live stream. It is an incredible asset when it comes to creating an engaging production. Typically, b-roll can include animations, graphical elements, photographs and footage. Use a green screen to place the video and graphics directly behind your hosts for a custom background. Be sure to market your event before it takes place to build anticipation. Use social media to publicize your event and generate buzz to attract the largest audience possible. You can even create a landing page for your live event containing the relevant details of your broadcast. Once you’re live (or after), cross-promote the link to your broadcast on other social channels. Conduct signal health checks to evaluate the reliability of your local network before you go live. An Ethernet connection is always best, however if you must use Wi-Fi try to find a private network if possible. Your cell phone can be used as an extra camera or live streaming device. If you’re in a jam, a phone works as an all-in-one recording, editing and broadcasting device. Setting up a cell phone to stream is a great backup in case something goes wrong while on the air. Or bring-in a remote mobile stream using the Rendezvous tool in Wirecast or the free Wirecast Go app. Using a video switcher is a great way to create a visually pleasing show for your audience. Select a switcher with a lot of inputs because you’ll need these not only for your cameras but also any additional graphics, animations, and video playback sources. 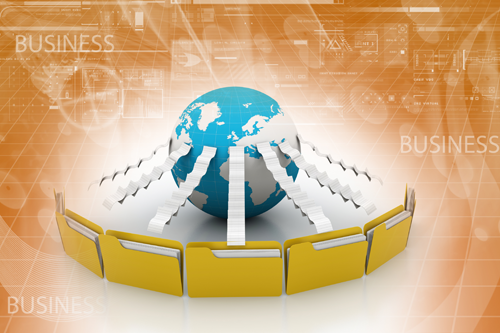 Configure your stream to broadcast to multiple destinations at once. Since you’re already going through the trouble of one broadcast – it won’t be much harder to add a few more destinations. This will maximize your reach and help you grow your audience. 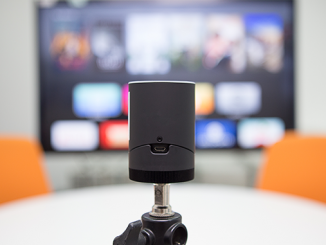 If you’re using Wirecast, you can simultaneously broadcast to built-in destinations like Twitter, Facebook, YouTube, Periscope and more. Let your viewers know how they can reach you again to get more information. Provide them with resources like your social media handles, a newsletter subscription, media files and more by adding links to your stream description or by displaying them on a transition card. Run through your show in advance. It’s hard to be in front of a camera, so make sure you rehearse and know what you’re going to talk about. At this time, check the quality of the audio and the lighting. Practice using the best camera angles and ensure your internet signal is strong. Consider recording your run-through and if something goes wrong during your live broadcast you can switch to the pre-recorded version. While you’re live streaming, setup your broadcast to simultaneously record. Use this recording to upload to a video-on-demand (VOD) library so your followers can easily access it. Now you are ready to setup your first live broadcast! Tell us how it goes it the comments and be sure to tag us in any of your videos. We love to see the awesome content our Wirecast users create. Not using Wirecast? Visit our website to learn more about Wirecast and our other live streaming solutions. Or, feel free to call us at 1-877-681-2088 to discuss your live streaming workflow.